Quick summary: During this lesson students learn about mapping and the value of natural elements within their immediate environment. They work with a partner to create a map of the playground, which others use as a guide in order to find natural ‘treasures’ within the space. Why are natural elements important to the environment? What natural ‘treasures’ do we have at our school? How can you create a map? How can we use maps to give directions? Relevant parts of Year 3 Mathematics achievement standards: Students match positions on maps with given information. Relevant parts of Year 4 Mathematics achievement standards: Students interpret information contained in maps. Level of teacher scaffolding: Medium – the teacher facilitates discussions, acts in character, demonstrates new concepts and assists students as necessary. Resources required: Student Worksheet – one copy per student OR computers/tablets to access the online worksheet. Device capable of displaying a website. One copy of the Treasure Map Story (for teacher use). One copy of the Map Grid Demo printed at A3 size (for teacher use). 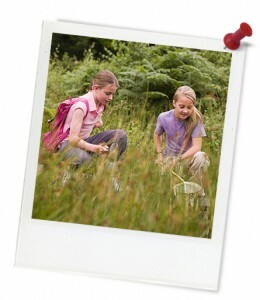 One copy of the Nature Treasures – Map Grid and Map Directions for each pair of students. Keywords: Sustainability, nature, outdoor, math, maths, mathematics, maps, mapping, treasure, outdoor learning. Overarching learning goal: Students will understand how to create and interpret simple grid maps and how to apply 2D objects to simple grid maps. Students will recognise the need for clear instructions when creating directions for interpreting maps. Finally, students will understand that nature is full of treasures and that these treasures can be found in the school yard. Thought starter: What is your most precious treasure? Why have you chosen this as a treasure?